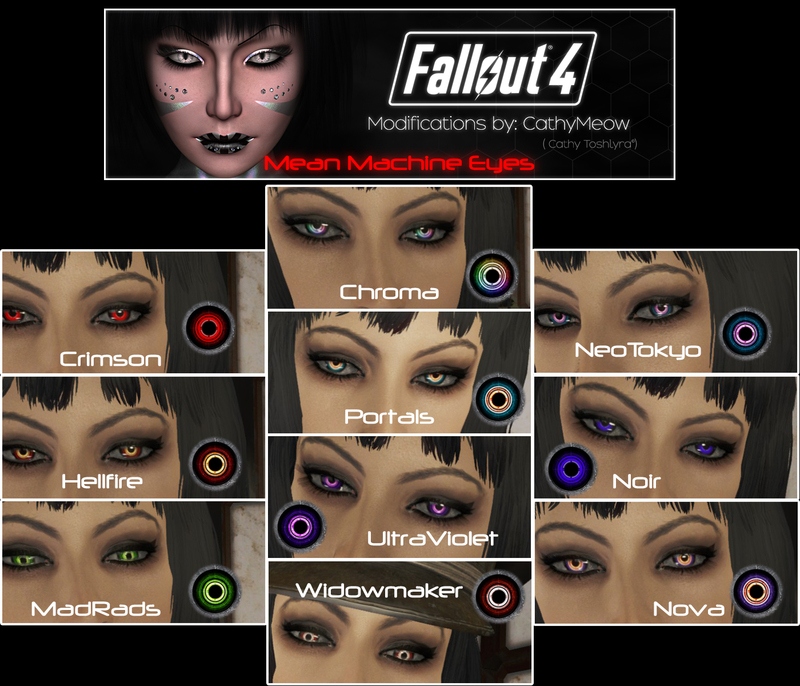 adds 10 Robotic/Cyborg Themed detailed eyes to your fallout 4 game. ( this is to revert possible false positioning ) .. then accept your character setting. from your plugins list and from your Data folder. See more mods from me here.